What better way to spend a lazy afternoon than with a cup of tea and a good book? If you can't get enough of all things vintage, burlesque and pin up, why not add one of these titles to your reading list? Miss Eva shares a few of her favourite reads, covering everything from high tea to self-love! Learning to love yourself is so important, and the effervescent Gala Darling shows us the way, paved with roses, magic and a sprinkling of sequins. Blogger, author, speaker and international playgirl, Gala's mission is to show people how magnificient they are, and inspire them to step up and grab the life they've dreamed of with both hands. Full of tips, tricks and exercises, Radical Self Love will take you from learning to fall madly in love with yourself, to loving others, to making your world a more magical place through style, self-expression, and manifestation. Read more about Gala Darling and Radical Self Love here! No burlesque bookshelf would be complete without a tome from the queen bee, Dita Von Teese. 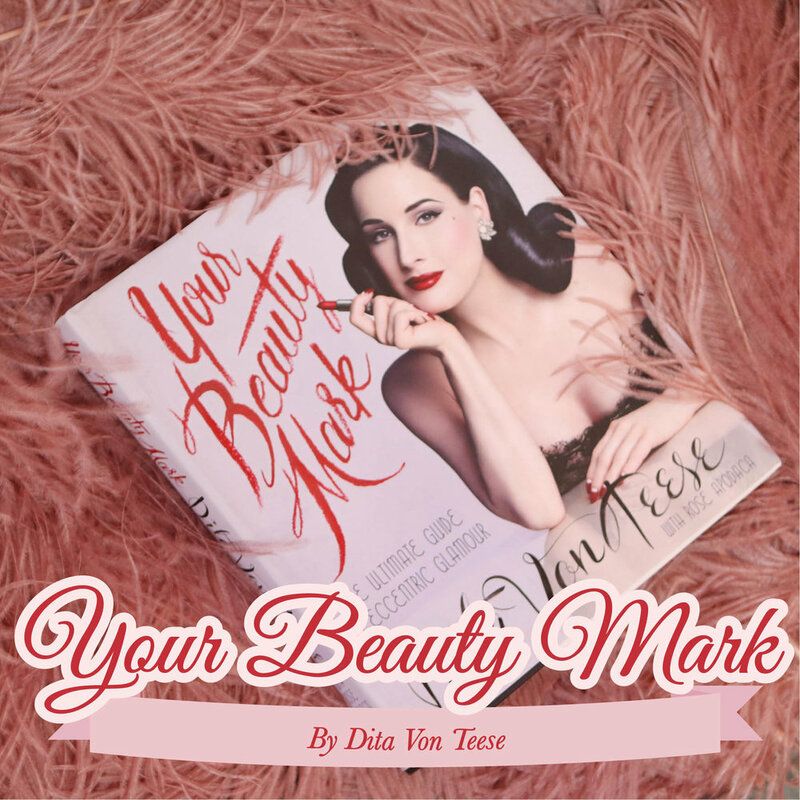 Her latest book, Your Beauty Mark, is your complete guide to an eccentrically glamourous lifestyle. From exercise routines to skincare, hair and make-up tutorials and beauty advice, Ms. Von Teese opens up about every aspect of her famous vintage image. Make sure to check out her other books too, including Burlesque and the Art of the Tease/Fetish and the Art of the Tease, a wonderful history and background of both the burlesque and fetish worlds. Learn more about Your Beauty Mark Here! 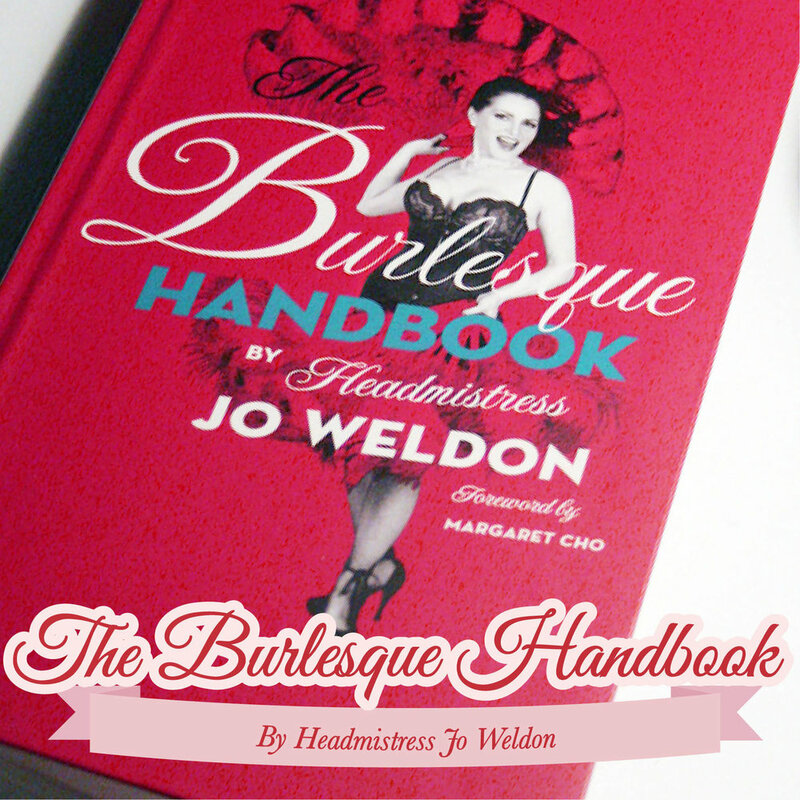 For any budding burlesque artist or performance hopeful, Headmistress Jo Weldon's Burlesque Handbook is a wonderful how-to guide to get you started. The founder of the New York School of Burlesque and one of the most recognised burlesque instructors in the world, Headmistress Jo covers every aspect of the burlesque world. With history, pastie-making tutorials, worksheets and etiquette guides, you'll be on your way to the spotlight in no time! You can find The Burlesque Handbook here! It's no secret that we adore all things tea here at Sky Sirens. That's why we keep a copy of The Vintage Tea Party Book in our parlour! This fabulous guidebook is not only full of decadent high tea recipes, but also hair and makeup tutorials, decoration ideas and even printable invitations. My personal favourite recipes are the tea-inspired cocktails, including the "Lavender Pearl," a divine combination with white tea, fresh lavender and Prosecco. Delightful! For all things Vintage Tea Party, click here! For lovers of vintage pin up art, The Art of Pin-Up is the most complete compendium of pin up artists ever compiled. Featuring the work of greats like Alberto Vargas, George Petty, and Gil Elvgren, this formidably-sized tome showcases paintings, sketches and illustrations in impeccable quality. In addition to chapters on 10 featured artists, there are the works of over 85 pin up artists within. An impressive book to be coveted by casual fans and avid collectors alike! Find out more about The Art of Pin-Up here! For the avid sewist and lover of vintage style, Gertie's Ultimate Dress Book is your modern guide to sewing fabulous vintage styles. This book is packed with all of the patterns and instructions you need to create a wardrobe filled with stunning, vintage-style frocks. Beginning with the basics and dressmaking techniques, you can mix and match the styles to create 23 different dresses, and learn how to tailor them to fit you perfectly. A must-have for beginner and intermediate sewing enthusiasts! Click here to visit Gertie's blog and get the Ultimate Dress Book!